“Comedy Nights with Kapil” is the most popular comedy show in India, which is aired on Colors TV since June 2013. Besides being a top rated show on Indian TV, it has been honored with a number of prestigious awards, including the Most Entertaining Comedy Show at BIG Star Entertainment Awards. 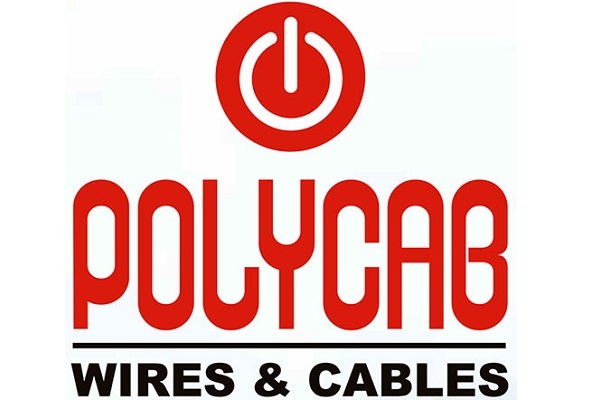 The show is hosted by one of the best comedians on Indian television, Kapil Sharma, who has received great popularity in a very short period of time. Kapil is supported by the famous cricketer turned television personality, Navjot Singh Sidhu, along with a number of other talented artists, who play excellent humorous characters in the show. 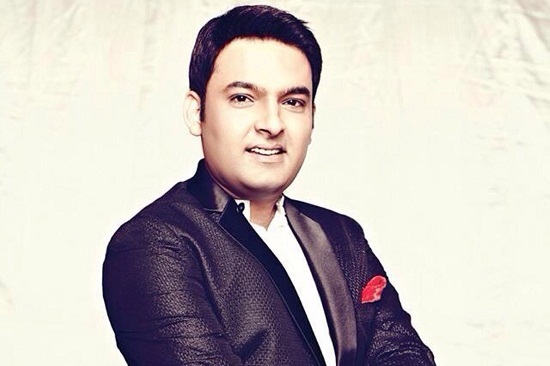 Kapil Sharma is a wonderful comedian with an amazing comic timing and excellent singing ability. This has made him one of the most popular television artists in India. In this shoe, Kapil features as Bittu Sharma and also doubles up as his brother, Sittu Sharma on some occasions. He exhibits a great rapport with his co actors as well as the guests of the show. Who can forget the incredible character of Gutthi, one of the most popular comedians on Indian television. 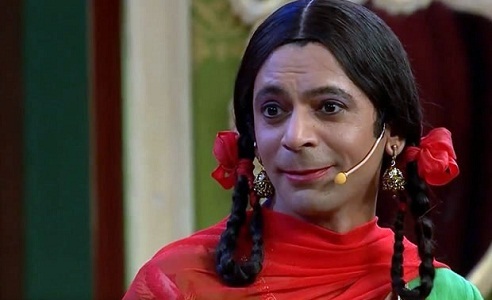 Sunil Grover stars as a female called Gutthi, and sometimes, also features as the father in law of Bittu Sharma. 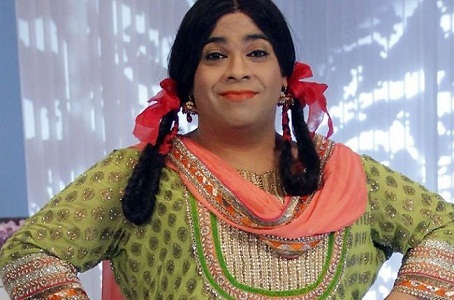 Another widely appreciated character on “Comedy Nights with Kapil” is that of Palak, played by the hilarious actor, Kiku Sharda. Kiku also plays the role of Pankhudi, the mother of Palak and also features as Lachcha in some episodes of the show. 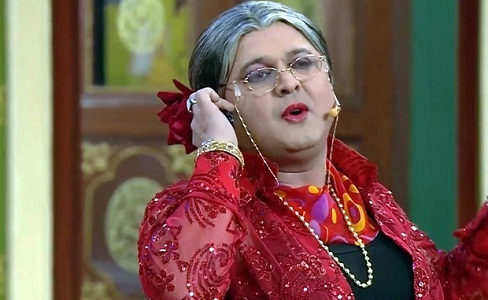 Pinky Sharma or bua is the middle aged aunt of Kapil Sharma, who is yearning to find the most eligible bachelor for herself, but is unable to do so. This character has been portrayed to perfection by Upasana Sharma, a gifted actress with outstanding comic ability. 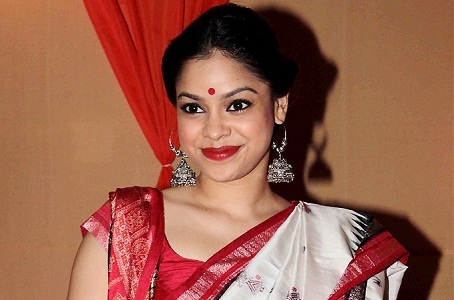 Another popular character of “Comedy Nights with Kapil” is Manju Sharma, the wife of Bittu Sharma, a part played by actress Sumona Chakravarti. 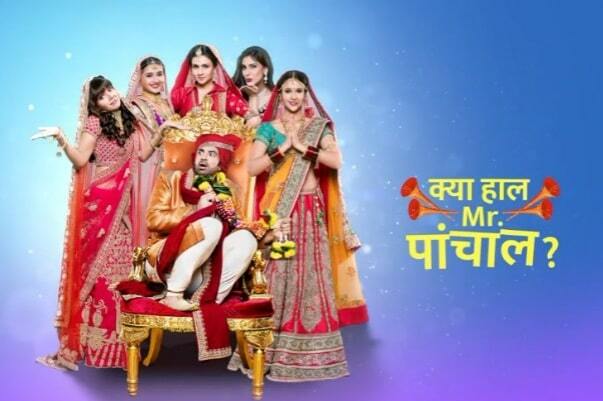 Bittu continuously teases his wife about her lips, her family and everything else under the sun, which leads to entertaining situations in the show. 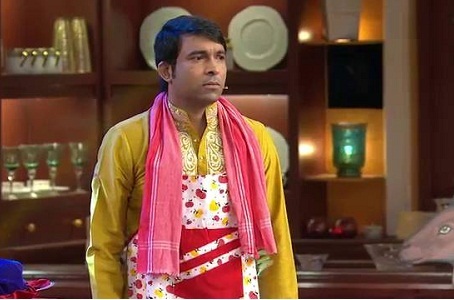 Chandan Prabhakar features as Raju, the poor servant who gets no pay from Bittu, on “Comedy Nights with Kapil”. He is a comedian par excellence, who also plays the part of Chadda Uncle and Chadda Aunty at tiles. In addition to all these actors, Navjot Singh Sidhu, who is the permanent guest on the show, entertains the audience with his excellent jokes and shayari. His quotes and poems, which are full of subtle humor, leave everyone speechless.